So the intelligence community is affirming 100% that Russia hacked the DNC without even acquiring the server? This stinks to high heaven. Craig Murray is a former career diplomat, and British ambassador to Uzbekistan. Here, he delivers a well aimed headshot to the “Russia hacked the US election” zombie fake news narrative. News Media Watchdog (NMWD) offers simple, unbiased coverage of popular news outlets. See the latest U.S. and world headlines all on one page. >New meta-analysis has emerged from a document published today by an independent researcher known as The Forensicator, which suggests that files eventually published by the Guccifer 2.0 persona were likely initially downloaded by a person with physical access to a computer possibly connected to the internal DNC network. The individual most likely used a USB drive to copy the information. The groundbreaking new analysis irrevocably destroys the Russian hacking narrative, and calls the actions of Crowdstrike and the DNC into question. >The document supplied to Disobedient Media via Adam Carter was authored by an individual known as The Forensicator. The full document referenced here has been published on their blog. Their analysis indicates the data was almost certainly not accessed initially by a remote hacker, much less one in Russia. If true, this analysis obliterates the Russian hacking narrative completely. >The Forensicator specifically discusses the data that was eventually published by Guccifer 2.0 under the title “NGP-VAN.” This should not be confused with the separate publication of the DNC emails by Wikileaks. 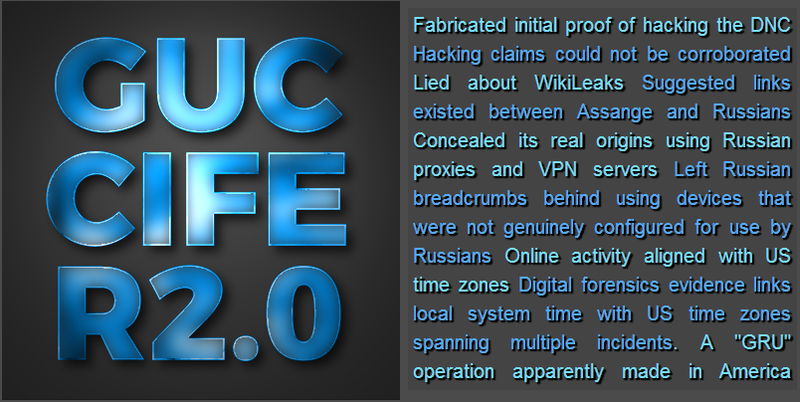 This article focuses solely on evidence stemming from the files published by Guccifer 2.0, which were previously discussed in depth by Adam Carter. New analysis indicates that individual acquiring alleged DNC data was not a hacker, copied locally.